A little girl’s birthday triggers a collision course for three women—the woman who gave birth to her, the woman whose husband fathered her, and the woman who adopted her—forcing them to face the damages of infidelity and make decisions about marriage, motherhood, and their careers. The Comfort of Lies, a novel about the collateral damage of infidelity, reveals the darkest and most private thoughts of three women. The drama of Randy Susan Meyers’ novels is informed by her work with violent offenders and children and families impacted by emotional and family violence (as well as her years spent bartending.) Raised in Brooklyn New York, Randy now lives in Boston with her husband, where she teaches writing seminars for Grub Street Writer’s Center, and is the mother of two grown daughters. 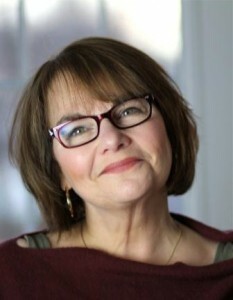 Her debut novel, The Murderer’s Daughters was named a “Must Read Book,” and one of the “2011 Ten Best Works of Fiction” by the Massachusetts Book Awards and named a best book pick by Elle France, Daily Candy, Goodreads, The Boston Herald, The Winnipeg Free Press, and Book Reporter, among others. Chosen by Target as the February-March 2011 “Book Club Pick,” it was also a top title for the Book of the Month Club, Literary Guild and Doubleday Book Club. The Murderer’s Daughters has been published in sixteen foreign editions. 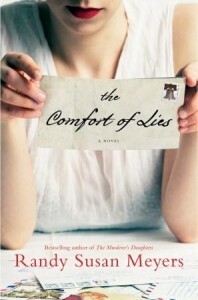 Meyers’ new novel, The Comfort of Lies, releasing from Atria/Simon & Shuster February 2013, explores the collateral damage of infidelity, the difficulty of balancing motherhood, marriage, and work, and the dark, private struggles many experience,but rarely reveal. Find out more about Meyers at her website, connect with her on Facebook, follow her on Twitter and The Huffington Post, and see what she’s pinning on Pinterest.